Digestive problems remain a prevalent medical issue in America. So prevalent, in fact, if you don’t have a problem yourself, you’re likely to know people who do. Gastrointestinal (GI) problems continue to be the number one complaint that drives patients to the doctor. Over 14 million people have peptic ulcers and over 25 million Americans will be diagnosed with an ulcer sometime in their lifetime.1 Despite these huge numbers, the incidence of ulcers are dwarfed by the number of people experiencing other digestive issues such as heartburn, irritable bowel syndrome (IBS), bacterial infections and reflux disorder. Medical statistics indicate 56 million Americans report acid reflux, 60 million have heartburn, 76 million report food borne illnesses and 80 million experience IBS.2 It’s becoming increasingly necessary to utilize nutritional support for the mucosal lining in the stomach and small intestines to help reduce the risk of these digestive issues. The natural defense mechanism of the digestive tract is a protective lining of cells with an overlying thick coat of mucus. Constant rebuilding of the mucosal lining takes place to protect against irritation from acid foods and beverages, food borne pathogens and other challenges. In a perfect world, our stomach maintains this very delicate balance of holding corrosive digestive juices and not digesting itself. We need the low pH acidic conditions for proper digestion of food and killing harmful bacteria, but we also need to protect the stomach and small intestine from these harsh liquids. Occasionally the balance is upset and the natural defenses are overwhelmed. When that happens, the stomach’s natural acidic secretions can create irritation and indigestion which we feel as heartburn and gastric reflux. If these warning signs are ignored, more serious problems may develop. In the past it was thought stress was the most common cause of digestive problems. In reality, any number of factors can upset the balance including poor metabolism, poor diet, use of alcohol or tobacco, bacterial imbalances and free radical damage at the cellular level. If an otherwise healthy person indulges in overly spicy, acidic or fatty foods, alcohol, tobacco or other irritating indiscretions, they may experience temporary discomfort and indigestion. Normally, they can heal themselves of the indigestion in a day or two without drugs or therapy. This healing occurs when healthy cells of the mucosal lining multiply and migrate to repair the wounded area. However, if the underlying cause remains and continues to irritate, the self defense and repair mechanism is likely to be delayed or not take place. The continued presence of these agents works against the healing process. More recent science has identified two new factors thought to contribute to poor stomach health and gut injury. One of them is the presence of harmful bacteria and the other is regular use of pain relievers. Harmful bacteria, in particular, Helicobactor pylori (H pylori), is a major factor in the development of stomach irritation and ulcers. In broad terms, this bacterium is estimated to be present in over half the world’s population. In the U.S., rates are lower but still significant at about 20 percent. 3 Many people can carry this bacterium without symptoms or ill effects. Interestingly, not everyone with H. pylori develops digestive problems and the differences may be the individuals and their immune systems. A simple blood test can determine the presence of Hp and the conventional treatment is triple anti-biotic therapy. Pain relievers or NSAIDs or “non steroidal anti-inflammatory drugs” are the other new and significant factor leading to digestive issues. The New England Journal of Medicine identified NSAIDs as the second leading cause of ulcers in the United States.3 Many pain relievers such as aspirin and aspirin-like compounds (ibuprofen and naproxen sodium) are a part of this broad category of stomach irritants. These products can suppress the mucosal lining of the stomach and small intestine, leading to thin spots and potential irritation. The result can be indigestion, heartburn and other more serious problems. The conventional therapy for ongoing digestive upset and irritation has involved a defensive strategy of suppressing or neutralizing the stomach acid. By reducing acidity in the stomach, irritation of the wound and general discomfort is reduced. Acid suppression currently involves two categories; antacids that neutralize stomach acid and drug treatments that chemically block the production or release of acid into the stomach. Both of these conventional therapies can reduce heartburn symptoms and increase healing rates but there are questions surrounding the extended use of these compounds. While acid suppressing drugs are clearly effective in relieving immediate symptoms of heartburn, they do not address the underlying cause and may lead to long-term digestive issues. Stomach acid is necessary to properly digest food and to kill food borne pathogens and bacteria. Additionally acid blockers on their own will not inhibit H. pylori and additional antibiotic treatment may be required. Many people report a return of symptoms after stopping treatment with antacids, which leads to years of drug therapy. Clearly the focus of the past has been on treatment through acid suppression rather than correcting the underlying problem. Supporting the integrity of the mucosal lining and natural defense mechanism in the gut is a new approach. Just a few short years ago I wrote about Zinc-Carnosine, a new dietary supplement ingredient that was brought to North America from Japan. In its home country, Zinc-Carnosine is used for relief from stomach irritation and ulcers. In America, Zinc-Carnosine is a very unique zinc supplement for nutritional support of the mucosal lining and the natural defense mechanism of the gut. New research in the last few years is indicating expanded applications for issues such as indigestion, heartburn and more. Additionally, Zinc-Carnosine has shown inhibitory effects against harmful bacteria such as Hp. Both L-Carnosine and zinc are naturally occurring molecules and they have antioxidant and tissue repairing properties. While they have also been independently investigated and appreciated for their nutritional contributions, the chelated combination appears uniquely more beneficial for digestive support and health. L-Carnosine, which is different than L-Carnitine, is a dipeptide composed of the two essential amino acids ß-alanine and L-histidine. L-Carnosine is naturally produced in our bodies for muscle and connective tissue. It is most often known for its antiaging properties and occurs naturally in meat, poultry and fish. Zinc is an essential trace mineral element that plays a key role in nutrition as well as immune function, reproduction, appetite, growth and wound repair. Foods naturally rich in zinc include beef, cheese, liver and milk products. Many diets contain inadequate levels or sources of zinc, easily falling below the recommended daily allowance of 15 mg. The term “heartburn” is a misnomer because it’s normally pain and discomfort in the stomach and/or esophagus. The position of the stomach is below the diaphragm and much higher than many people tend to think, hence the association with the heart. Heartburn can be a direct result of acid on stomach tissue and a common symptom of a weakened defense system. Most digestive studies generally don’t look to assess only heartburn or reflux as these are very subjective observations and vary greatly from person to person. Zinc-Carnosine has two studies that have specifically tracked heartburn relief. These studies are particularly helpful because they look at short-term symptom benefits and demonstrate the powerful support Zinc-Carnosine can offer for those who suffer from occasional heartburn. One study showed improvement of heartburn symptoms of 46 percent after three days, 74 percent after 7 days and 85 percent after 14 days at normal supplement dose levels.4 The second study showed heartburn disappearance of 33 percent after one week, 62 percent after two weeks and over 80 percent after four weeks.5 Correcting underlying problems usually takes longer than simply addressing symptoms. Rebuilding a normal, healthy mucosal lining won’t happen overnight. With a little nutritional support from Zinc- Carnosine, the natural repair mechanism of our digestive system can help restore and maintain a healthy GI lining even under stressful conditions. Rather than suppressing stomach acid, Zinc-Carnosine suggests an entirely new approach to a challenging health concern by addressing the root cause of the problem. 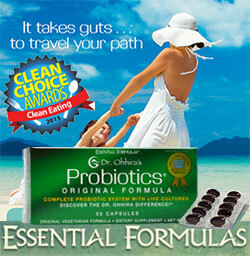 Digestive complaints can potentially become chronic, long-term health problems. Primary causes of digestive problems have been identified as highly acidic or spicy foods, bacteria and the increasing use of non-steroidal anti-inflammatory products (NSAIDS) for pain relief. One theory regarding the cause of digestive problems is a loss of balance between offensive factors such as acid, and the defensive factors, such as mucus and the mucosal barrier. Conventional therapy has been valuable on the defensive and short-term side of this equation with the development of acid blockers to address acute symptom relief. Zinc-Carnosine now offers long-term nutritional support and perhaps for the first time, the chance to add to the offensive side of the equation. Clinical data supporting Zinc-Carnosine looks promising for a number of digestive ailments and may help achieve balance and optimum gastrointestinal health. Consult with a health care provider before beginning any new treatment or supplement program and learn as much as possible about the ingredients). American College of Gastroenterology. Web site www.acg.gi.org. Wolfe, M., et al. N Engl J Med, 340:1754–56, June 1999. Laine, L., Gastroenterology. 120(3): 594–606. Feb. 2001.